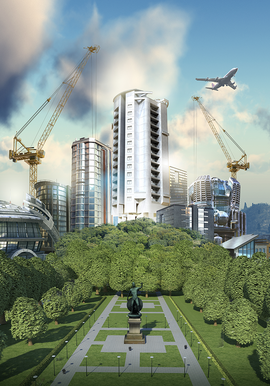 The Cities: Skylines encyclopaedia that you can edit. Cities: Skylines is a city-builder developed in Unity3D by Colossal Order and published by Paradox Interactive. Want to help improve the wiki? Anyone can contribute to the wiki. If you want to become a contributor please register (though you can also edit anonymously), and check out the work needed page. If you spot anything in need of improvement, don't hesitate to make an edit. If you plan on making any major changes it is recommended you read the style guidelines first. This page was last edited on 30 January 2019, at 21:38.